Fortunately for me, although I was annoyed at the time, I was unable to get attention from anyone at Staples last Friday afternoon. A Saturday morning search on the Net pointed me to a laptop sale at Staples, which prompted me to call them, leading me to pick up my new laptop for almost $100 less than I would have paid if anyone would have given me time in the store the day before. It seems everything does happen for a reason. It’s still in the box. JoeComputer transferred my old info to the new and I might have time to play with it tomorrow afternoon. The extremely active, small but loud, Kindergarten little ones at the school planted more microgreens today. Em stole the show with her illustrated talk about Compost. Next week we’ll start a special project to be ready by Mother’s Day. 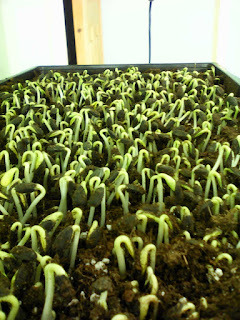 Sprouts – the idea of starting the Broccoli Brassica Mix a day earlier worked nicely. Garlic - Jennie, our main gardener is also an organic gardener on her personal time. She has excellent garlic from her fall harvest, which I’ve been using for our hummus. I told her you might like to buy some. I’ll add it to my list below but I need to let you know it’s not mine, but it’s really nice and I know you love garlic. I was pleased to make our first delivery of microgreens and sprouts to Gina at Little Sisterz in Spencerville this week. I picked up some of her vegan lasagna for dinner tonight. It looks delicious and smells wonderful as it warms up in the oven. It will go nicely with the kale salad I’m making after I get this email to you. 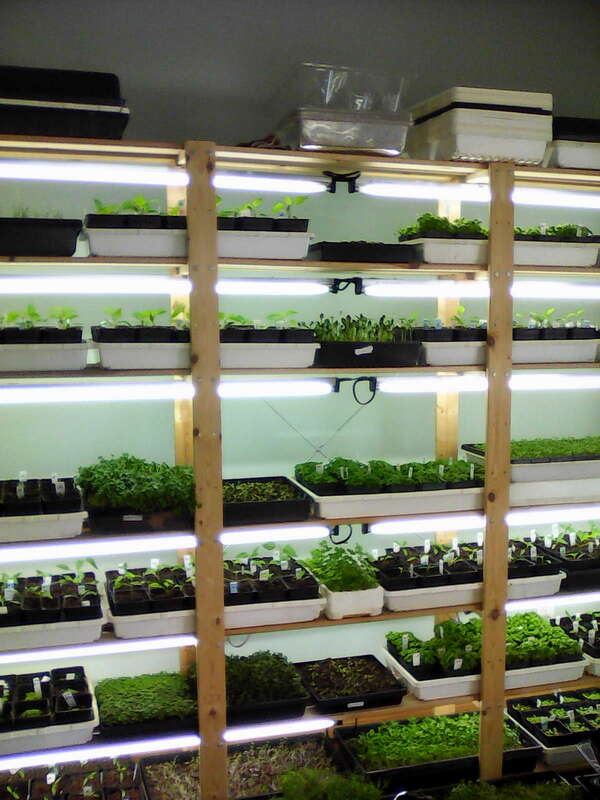 Each week is different as we’ve been mixing the microgreens up a bit for variety and each week we sow new seeds for what’s to come once we can get outside. 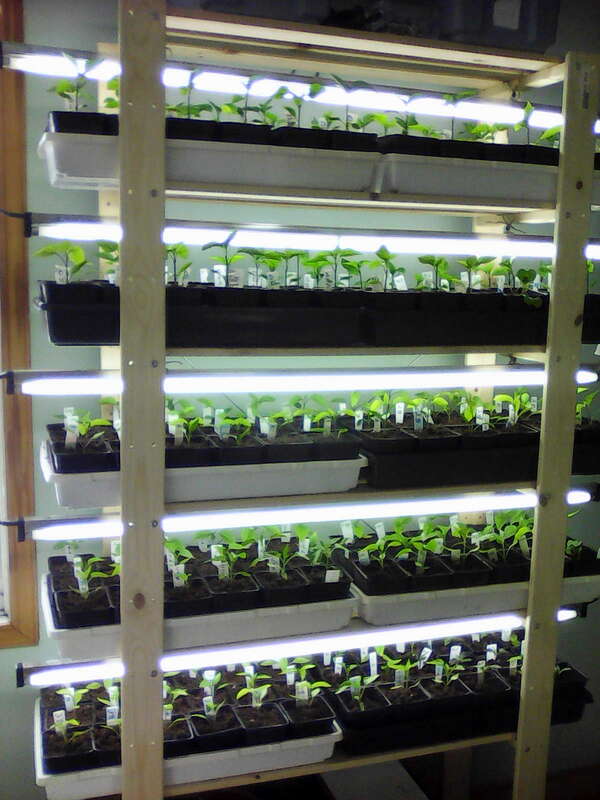 We have a few trays on heat mats in the greenhouse with more herbs, flowers and lots of celery. I was absolutely not expecting lows of -20C. 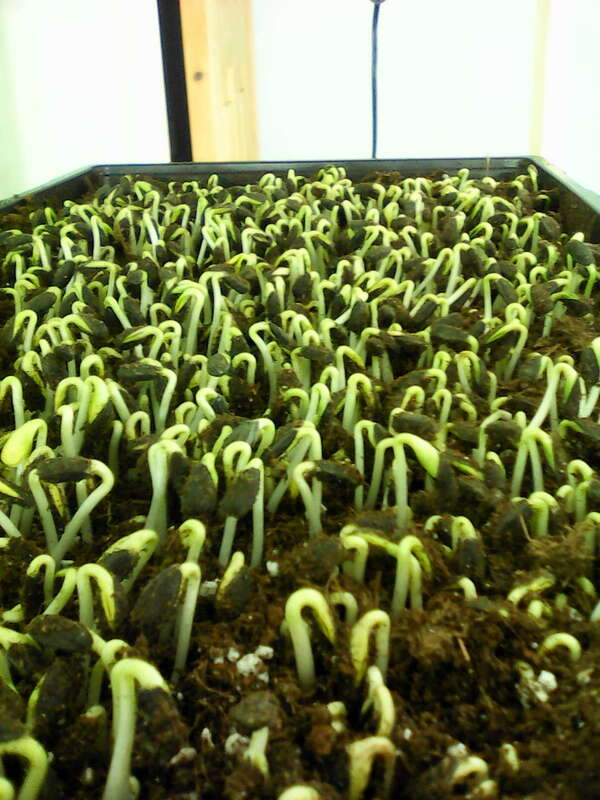 Despite this drop in temperature, I see some seeds have sprouted and spy more each time I spritz them. 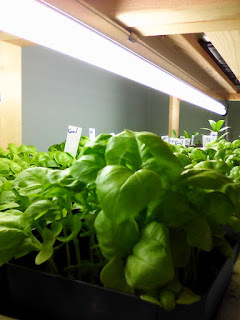 We planted spinach, some mesclun mix and more pansies and transplanted some lettuces in the greenhouse. Some rotten scoundrel of a rodent has been, not only digging to chew on the tulip bulbs we planted in November, but actually taking the big leaves and dragging them towards it’s exit path but isn’t able to pull them through, so just leaves them – grrrrrr. Those flowers are for the bees when they awaken from their sleep in the mason bee house. IMPORTANT - I’ll deliver Thursday next week before the long weekend. 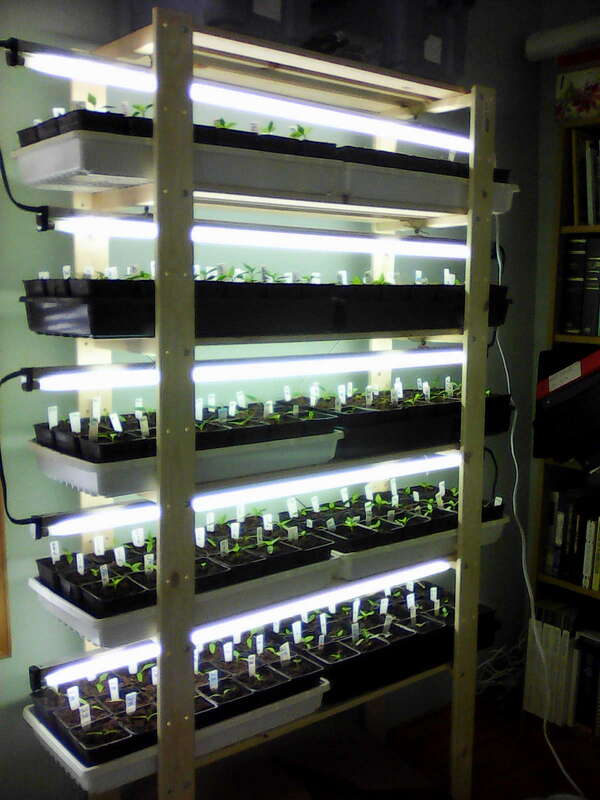 As they take 6 days from start to finish, please let me know before Friday this week if you’d like me to grow sprouts for you. Otherwise, I won’t do up more sprouts than I need for Arlington Five and Little Sisterz as they have standing orders. Obstacle - a thing that blocks one's way or prevents or hinders progress. We were without a furnace for over two weeks, the first week being quite comfortable, the end of the next week not so much. I’m happy to have our furnace fixed with the upcoming cooler nights. 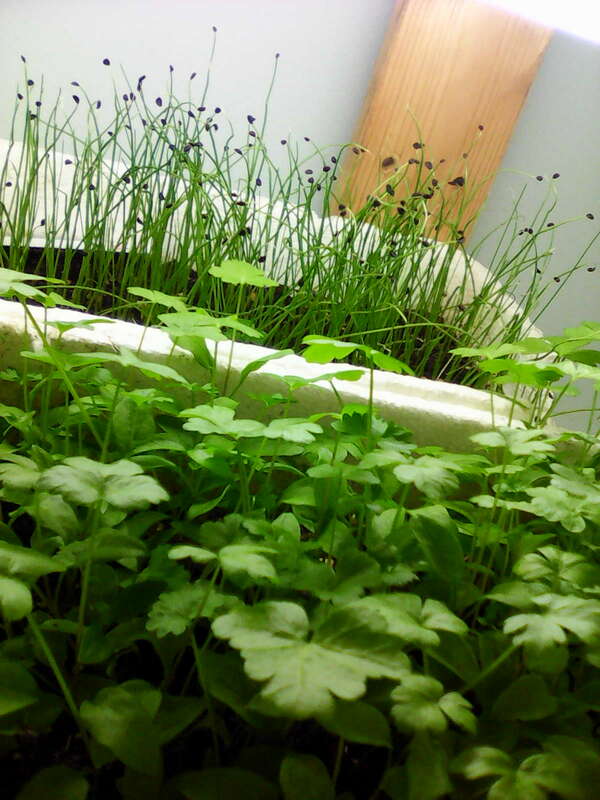 I ordered 100 lovely new 10X10 seedling trays, half with holes, half without holes, for the microgreens so the holey ones could sit in the solid bottomed ones to make watering the microgreens from the bottom easier. These you can’t buy in Canada so I ordered them from the States. Unclear in the online description was the fact that the two series which I ordered were not compatible and 10X10 doesn’t always mean 10X10. I guess it’s like wood as there’s not a 2X4 anymore. The sizes are just “general”. So I ordered the correct holey trays to fit inside the non-holey ones. The order wouldn’t come right away as Pennsylvania was expecting a huge snow storm so deliveries would be late. The trays are now here but jeesh, sometimes it’s just not that easy. I tried to buy the regular organic dried chick peas for your hummus this week. Nope, none available until April, maybe. I have some which I froze right away after cooking the other day so I can make hummus this week. I’ll search elsewhere in the meantime. I don’t like using canned. And, on top of this, my laptop became sick last week, some resuscitation was done on it but, alas, it has expired. I’ll be picking out a new one next time I’m in town. 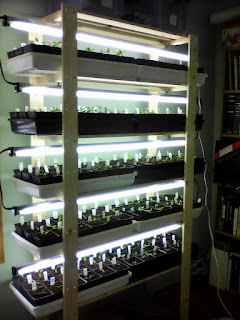 However, this snow will not be an obstacle to block our way or prevent or hinder our progress tomorrow when we’ll be in the greenhouse transplanting lettuces and green onions started indoors a month ago and sowing radishes and spinach. 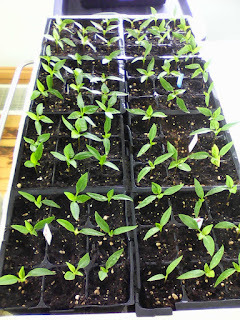 We cleared tables, brought out a few trays of seedlings, folded frost blankets and row covers and laid out the heat mats which were rolled up really really tightly in the basement since last May. Once they warm up from the sun they should be more pliable but they fought us pretty hard while we were unrolling them. 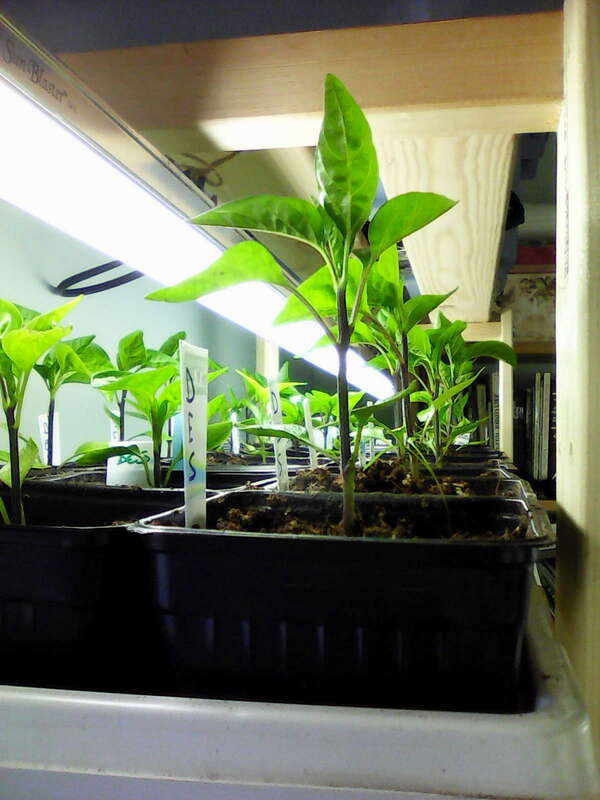 We up-potted even more hot peppers yesterday and sowed some edible flowers, herbs and many more microgreens. 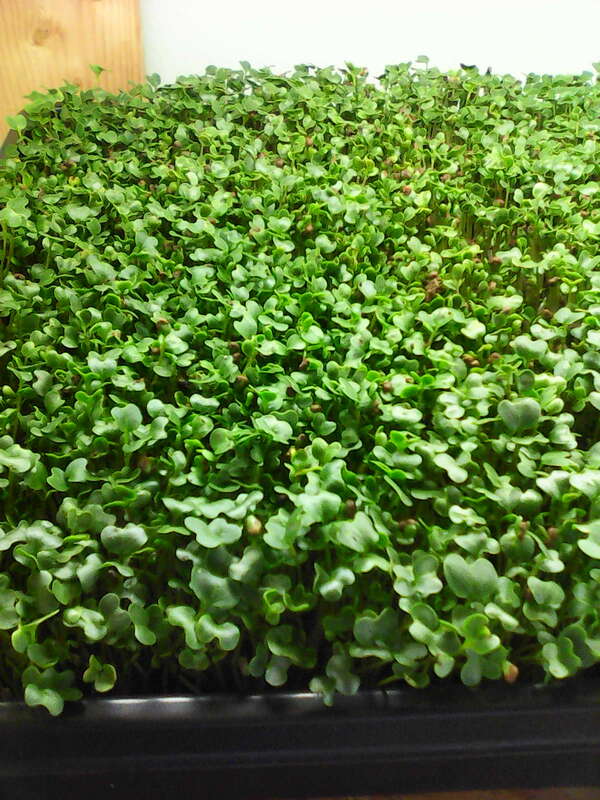 I’m quite surprised how wet the Broccoli Brassica Blend and Broccoli Sprouts are. I’m trying to correct this if I can by starting them a day earlier than the rest to see if that makes a difference. We’ll find out Friday morning when I harvest them. If you use them for smoothies, the moisture is okay but I’d like them to be somewhat drier for eating on their own or on sandwiches. I was unable to buy Spring Salad Mix Sprouts seeds but have a Premium Mix which I haven’t tried before. It sounds interesting. Ingredients are listed in the “menu” below. If you’re on March Break and you ski, you must be laughing in style. And the mild weather adds to the whole experience. I’m back at the school next week and bringing a friend to talk with the kids about Compost. I’m quite amazed how much these little ones know about the food system – it’s not a secret anymore – hooray for knowledge! I'm happy to take back any jars when you're done with them, no lids please. Yet another quick week passes and we lose an hour this weekend, which can never be replaced but maybe the cats won’t wake up so early and the rooster will be more content to stay in the coop until daylight shows itself an hour later. When the weather turns warmer (keep your eyes off the snow falling out there) I’ll be happy for an early sunrise so I can get outside with it at the earliest hour. I decided to name our new and any future chickens after living items. Our beautiful rooster will be Sweet William (we call him Bill), the brown hen with the green legs will be Olive (Kate tells me she’ll lay green eggs), the other brown hen will be Mahogany and the frizzle will be Zany Zinnia (Zini for short). We’re not sure if Zini is a hen or a rooster. He/she is pretty bold and stands up to the rooster even though he is five times the size of the frizzle. Time will tell. We already have a Daisy, a Shelly (because her spots look like sea shells which were living at one time) and a BlueBell – who all fall into the living items category. Then we have Elsa, Beauty, Bess (BS-short for Black Spots) and Sophia who are all holding their own and have no idea what on earth I am rambling on about. We up-potted 250 hot pepper plants yesterday with several hundred waiting in line for the same step forward tomorrow. 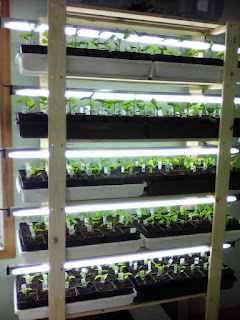 We’ll sow more seeds of herbs, flowers, microgreens and lettuces for future transplants into the greenhouse raised beds. 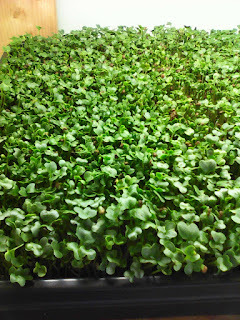 The trays of sunnys and other micros will be ready next week. 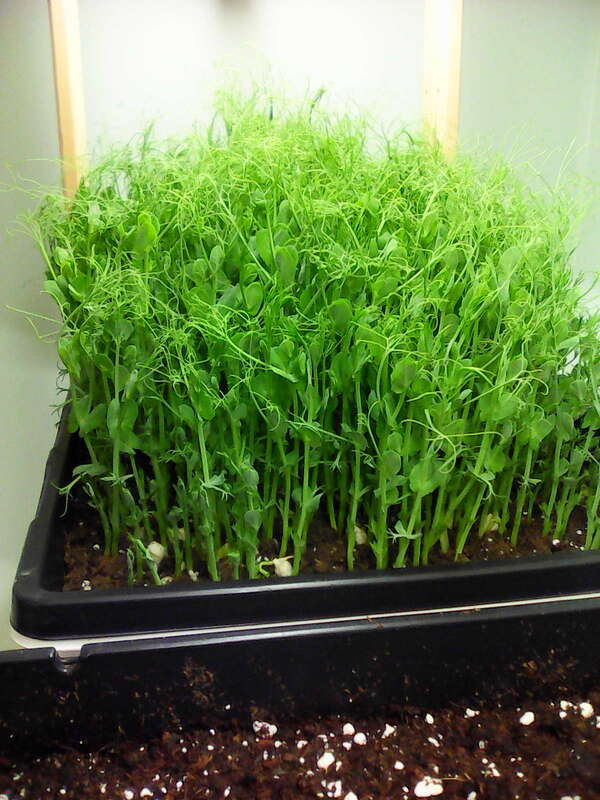 We have loads of pea shoots and the microgreen mix this week will consist of more varieties, just because it’s fun to mix it up. “Broccoli sprouts contains glucoraphanin, a chemical that when eaten is converted by the body into sulforaphane-the strongest natural inducer of the body’s own enzymes against carcinogens. The broccoli sprouts contains concentrations of the glucoraphanin that is up to 50 times greater than the mature broccoli. . . . (Specialty Seed) Vitamins A,B,C,E and K Calcium, Iron, Magnesium, Phosphorous, Potassium, Zinc Carotene, Chlorophyll, Amino Acids and Protein:35%. Well, that’s a big “Wow”. This explains why they are so popular. 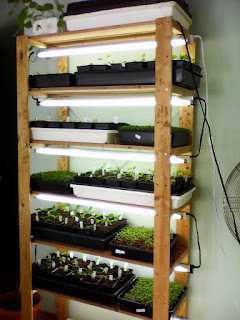 You should also know that all sprout and microgreen seeds I purchase are certified organic and from Canadian companies. “The children are truly enjoying ALL the different experiences and being able to reap the benefits of their labour. They really enjoy all the different tasting experiences. 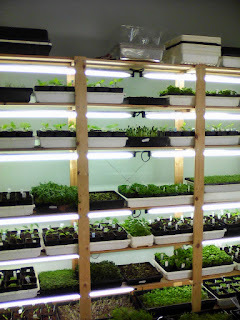 It is incredible to see how keen they are to try the food they have grown. No fussy eaters...they truly just jump right into the experience (even the radishes!). Ah yes, future food creators in the making.